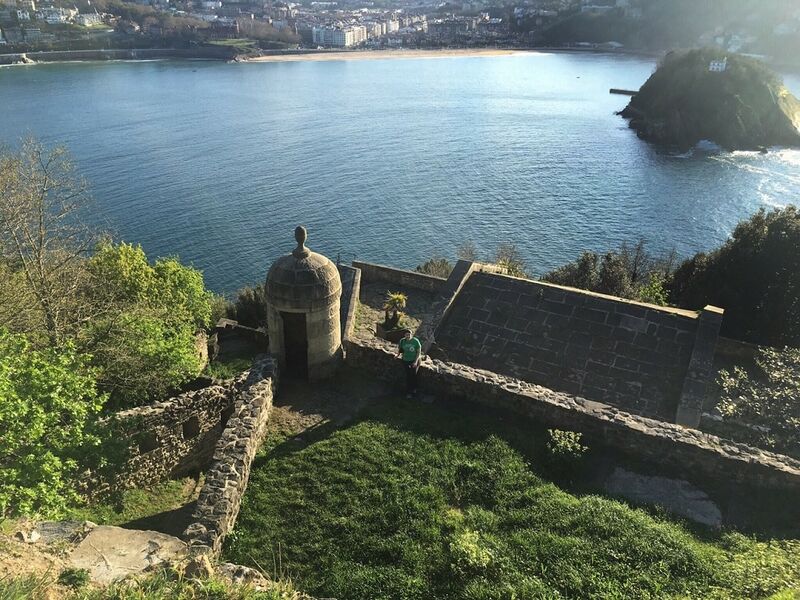 San Sebastian’s Monte Urgull is Worth the Hike! 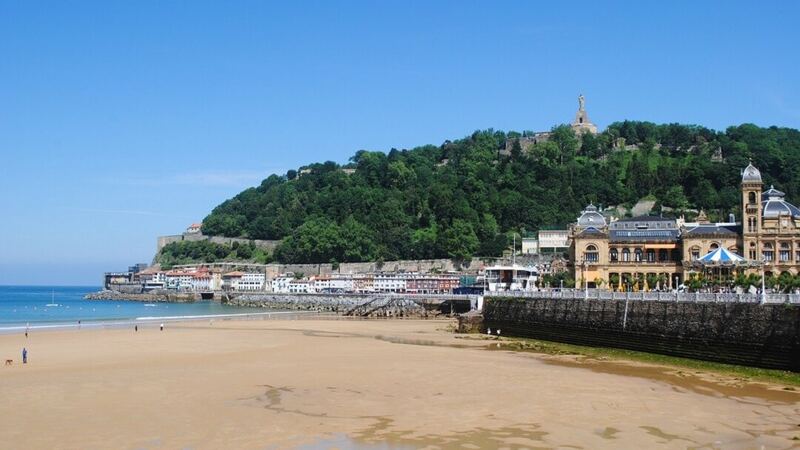 One of San Sebastian’s most famous landmarks is the statue of Christ on top of Monte Urgull that looks over the city. We had a lovely view of it from our hotel room at the Hotel Londres. I had heard that you could walk up the hill to see it and I thought that would be fun to do. I had no idea that Monte Urgull has more to offer than just the statue of Christ and a great view. 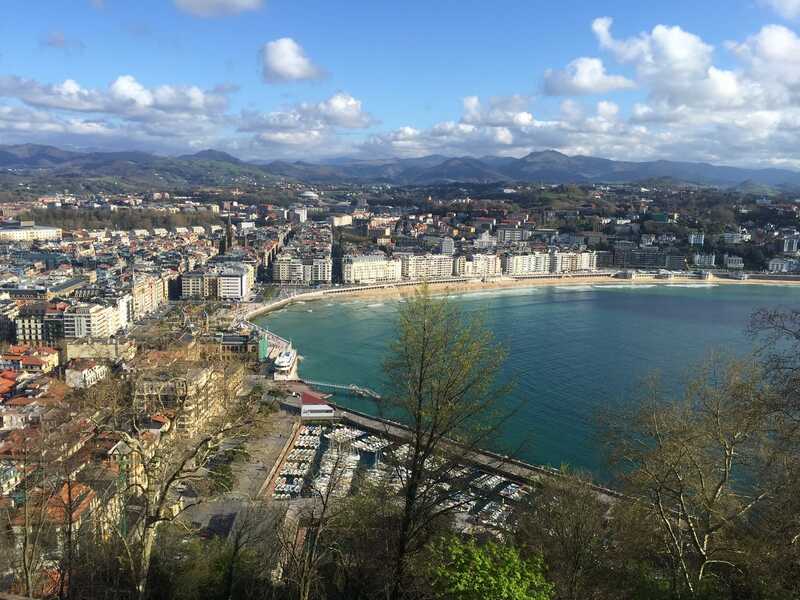 So if you get a chance to visit San Sebastian, set aside an afternoon to explore Monte Urgull. Let me tell you what you can expect when you hike Monte Urgull. 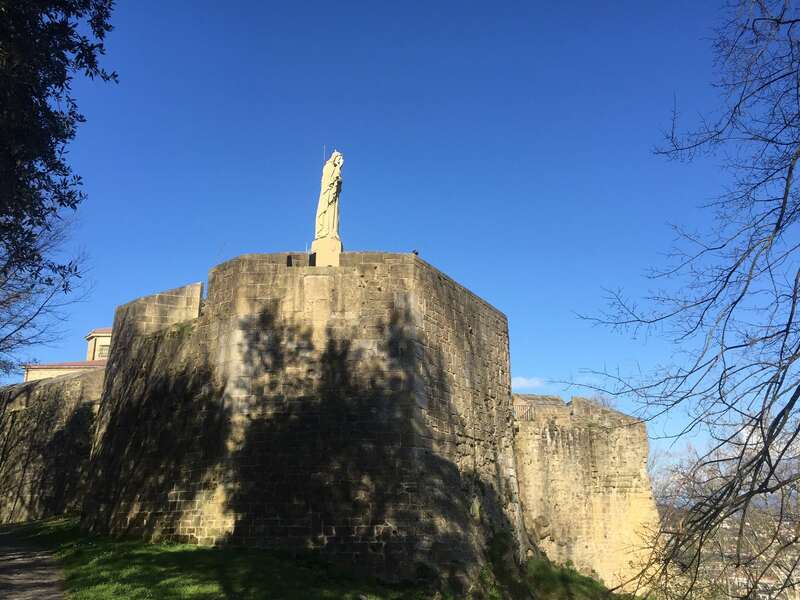 The statue of Christ on top of the castle. I would classify the trek up Monte Urgull as an easy hike or moderate walk. The trail starts from Mari Street in San Sebastian’s (aka Donostia’s) Old Town Port Area. While the paths are nicely paved, some parts are steep and there are stairs in some places. If you walked up without stopping to explore, it would probably only take 30-45 minutes depending on your speed. We didn’t do much research beforehand, we had just heard that you could walk up. We figured it would be a good way to burn off some of the calories from our cooking class. While walking up the steep path that zig-zagged up the hill, we couldn’t help but stop and admire the view of the city and La Concha beach. The views are stunning any direction you look. The view of the city of San Sebastian and La Concha beach from Monte Urgull. From the castle on top, Russell had a great view of the city and the mountains. Monte Urgull is more than a scenic hike, we found a few attractions that are worth seeing too. While hiking Monte Urgull make sure not to miss the castle, statue, cemetery, and sculpture. At the tallest point on Monte Urgull stands the 40 foot tall San Sebastian Christ statue, Sagrado Corazon (or Sacred Heart) and a castle. I wasn’t expecting to visit a castle because it’s hard to see from the city. 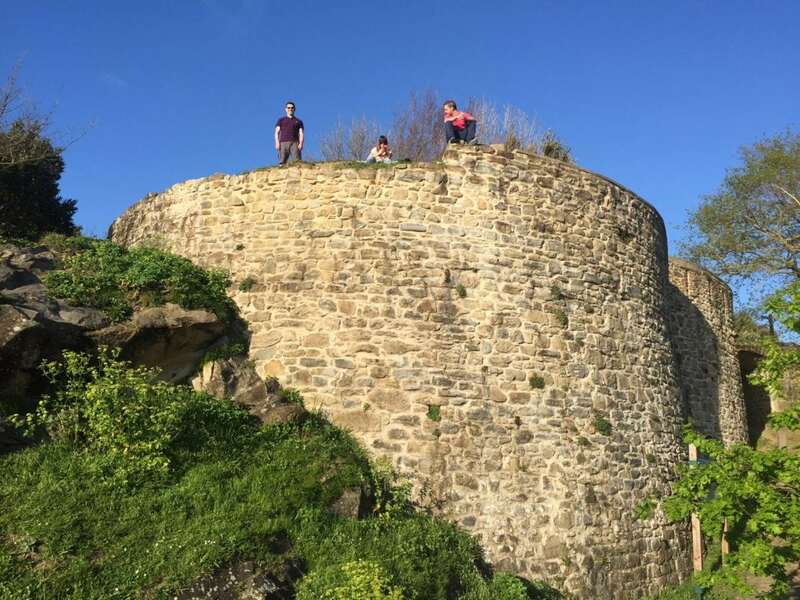 The Mota Castle, or Castillo de la Mota, has historical significance, some parts date back to the 12th century and it was conquered by Napoleon’s French Army. The San Sebastian castle is definitely worth exploring, there were many nooks and crannies to peek into. Of course, kids would love this. There are several cannons too. Also, I can’t say enough about the amazing views! Some of the canons in the castle. 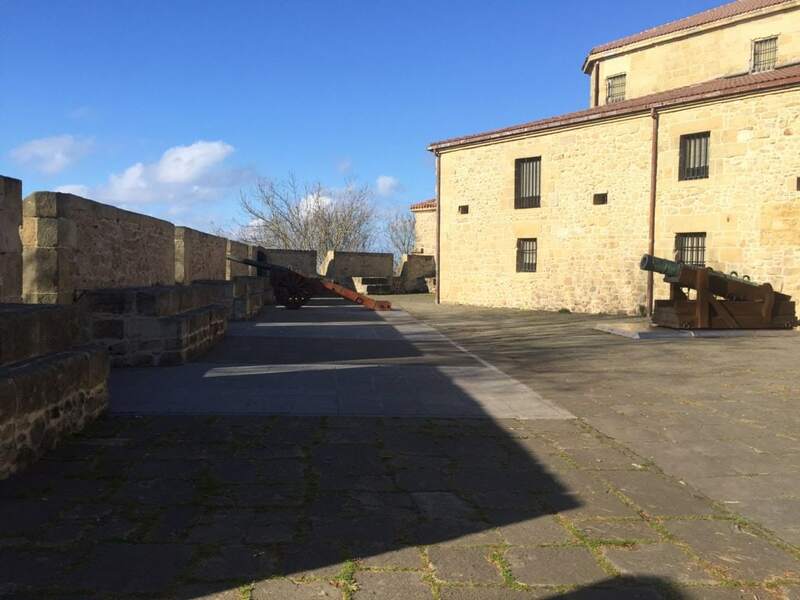 On top of Monte Urgull, there were several areas with old abandoned buildings in addition to Castillo de la Mota. It was fun to explore and peek inside. There were also plenty of benches where you could take a break and enjoy the view. You have a fabulous view of La Concha Beach and also the island in the middle of the bay. We were lucky to visit on an absolutely perfect afternoon. If you happen to visit in the summer, there is a place that sells ice cream. Can you spot Anisa exploring the abandoned building? Russell exploring more of the old buildings on Monte Urgull. The ruins of the British Cemetery can easily be missed if you are not looking for it. You can easily walk past the British Cemetery, also known as El Cementerio de los Ingleses. Keep an eye out for it because it is located on the back side of Monte Urgull. 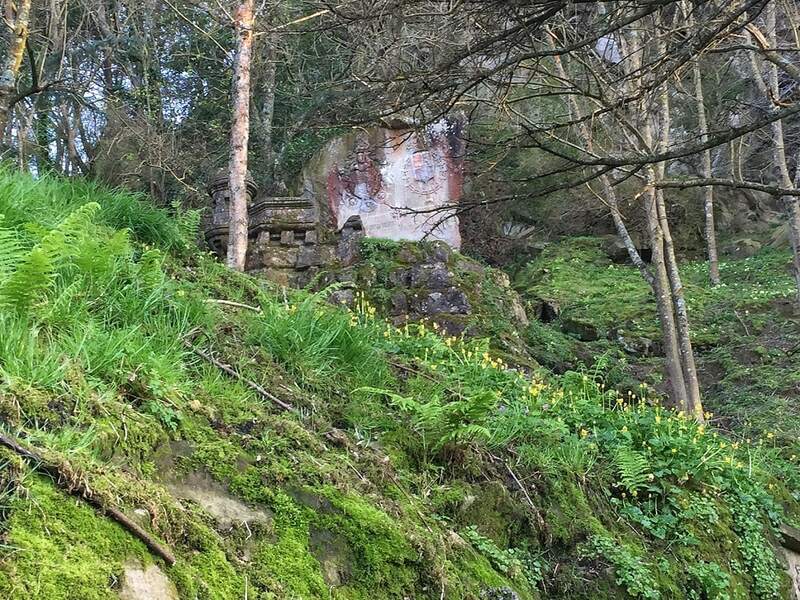 Dating back to 1836, the graves are aged and blend it a bit with the other rocks and ruins. The Auxiliary British Legion Officers who were killed in the area during the First Carlist War are buried here. You can find a plaque that lists the names of those buried, although one is a mass grave. I am always moved by military cemeteries (like the one I visited in Cambridge) because I am thankful for those that risk their lives for liberty and freedom. We walked down the backside of Monte Urgull and ended up at the far end of the marina close to the Aquarium. 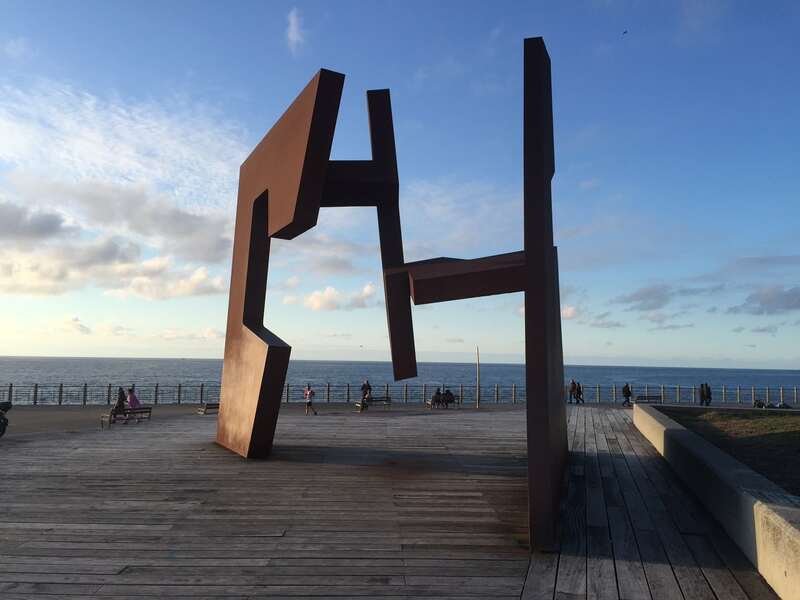 As you leave you can’t help but notice the sculpture at the foot of Monte Urgull, called Empty Construction by Jorge Oteiza. It is made with two pieces of steel which make a gate that opens to the sea. Visually, it is supposed to connect with Eduardo Chillada’s Comb of the Wind sculpture on the other end of the San Sebastian’s bay. Unfortunately, that piece was under renovation during our visit. I was impressed by this sculpture called Open Construction by Jorge Oteiza. I would definitely recommend taking a few hours to do the Monte Urgull hike. There is no entrance fee, so it is free to explore. We expected panaromic views of the city, the San Sebastian beach, and the Christ statue, but we stumbled upon some interesting history too. Have you stumbled upon any history on your travels? I would love to hear about it in the comments. 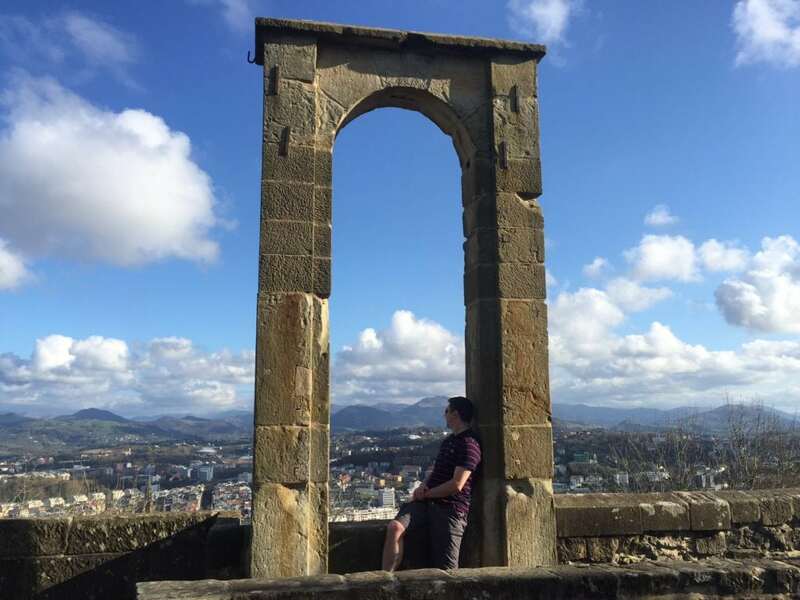 In addition to seeing the famous San Sebastian statue, take time to explore the Mota castle and other abandoned buildings on Monte Urgull. Don’t miss the British Cemetery (Cementerio de los Ingleses) on the back side of the mountain. Be sure to check out Jorge Oteiza’s sculpture Open Construction. Thank you! Yes Angie you would really love it there. We were lucky with the weather and had a great afternoon. Thanks so much guys. Glad you enjoyed the photos. 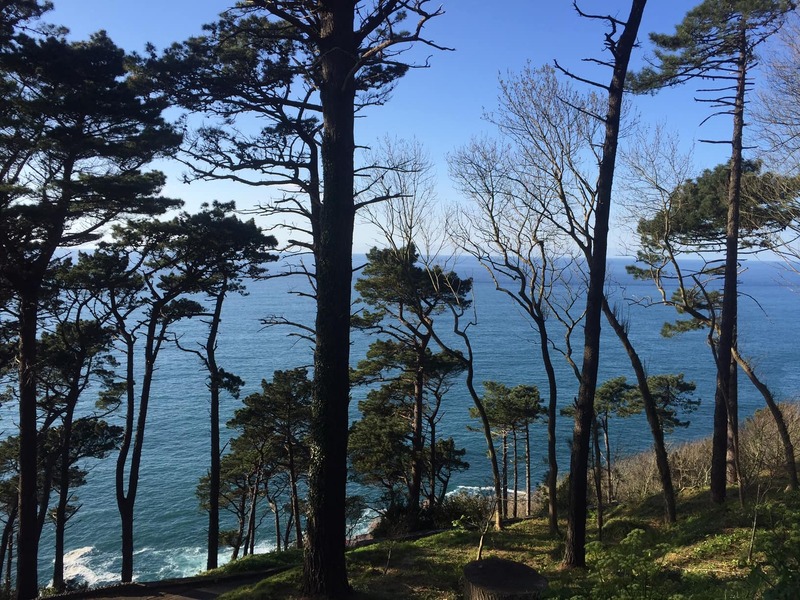 Yes it is definitely worth visiting when you go to Basque Country! Looks like a nice hike with some interesting things to see along the way. Love the art piece near the water! Thanks Jessica! Yes I really loved the artwork too. I agree, hikes are great for burning extra calories without the pain of strenuous exercises. Haha! And the beautiful view of the city and the sea is a perfect reward. Melai – yes that is one of the reasons I love hiking! Haha Katy. I can see how that can happen. We were just stuffed so it felt good to work it off. Tipsy is a whole separate thing. Kudos to you for doing it! Kathi – Yes San Sebastián is wonderful. I hope you get to go. Looks like a pleasant way to spend an afternoon! Thanks Becky. We really enjoyed it!